Children get more adventurous as they get older – it’s part of the natural process of growing up. They may, for example, want to venture off-road rather than being restricted to the pavement. And that means they’ll need a bike that’s up to the job. 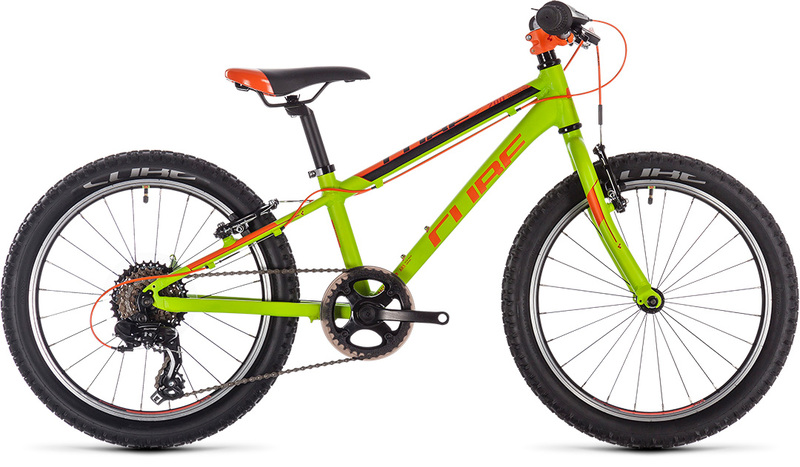 The Acid 200 is every inch a junior version of its adult counterpart, from the Shimano 7 speed transmission to the front and rear V brakes and new width CUBE tyres. We tailored details like the brake levers for small hands, so your junior rider will be tackling the trail and not equipment that doesn’t fit them. There’s even a power modulator on the front brake, so over-enthusiastic stopping is less likely to result in tears. And when the climb starts to get too steep, the large 36 tooth bailout gear will lend a helping hand for tired little legs. Add it all up, and it’s the ideal introduction to real off-road fun.